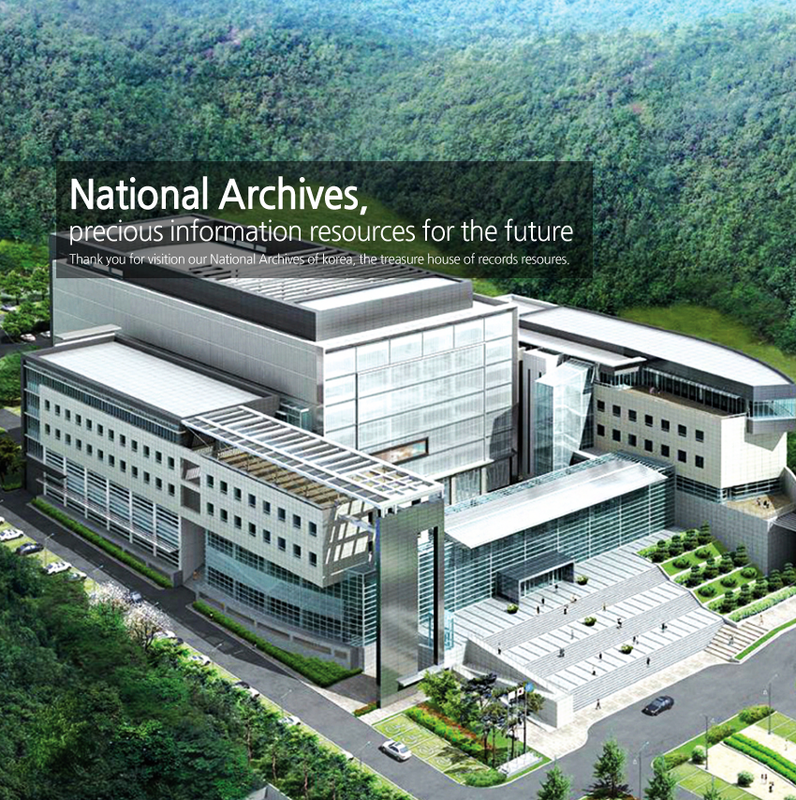 Welcome to the website of the National Archives of Korea. The records management system electronically acquires final records from public agencies and evaluates, preserves, transfers and utilizes the same. The National Archives Portal Service (NAPS) is a system that provides a variety of content centered on the themes familiar to the public, or major records, as well as multi-source record searching and convenient online access services. The permanent records management system at the central records management agency performs long-term safeguarding of various types of records that are automatically transferred from repositories. Copyright(c)National Archives of Korea All Rights Reserved.